The next Nokia flagship is said to be coming with five rear cameras which is going to be wonders that we've never seen in the past, all we have been seeing is dual cameras flagship but Nokia has decided to move to another level coming with something different from others. According to leak, Nokia and HMD Global are growing bigger and faster competing with other Android Smartphones manufacturers, I believe Nokia will the first coming with this idea but looking at it at different angle why don't they work on the existing devices to make it standard for better performance. On the other hand they should have got reason for that so no conclusion could be made at the end, the leak photo revealed that the cameras are arranged in circle at the back, one camera surrounded by four toher camera as well as a flash and a sensor. 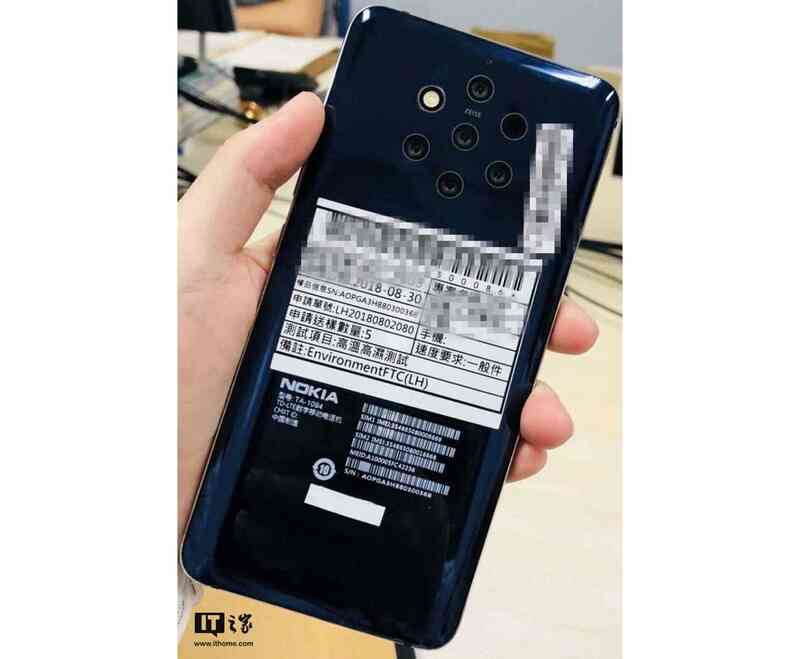 Judging base on the photo show off which is spotted to have model numner TA-1094, we've known Nokia for best camera performance like Nokia 808 PureView and Nokia Lumia 1020 with a 41MP rear camera but not like having five camera on the rear. However, this is just a leak story and no solid evidence confirming the rumour. Whether its real or not we will be waiting for it to be officially announce from the right source.